Ad group B - "purple flowers"
When the user query is pink flowers, only Ad group C (purple flowers) can be shown for this query. 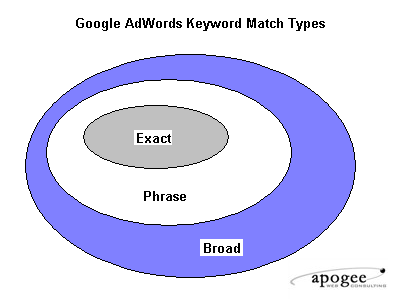 The Search Query Match Type column will say BROAD. 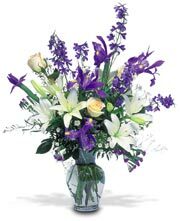 IOW, a broad match of (purple flowers) can trigger an ad for a search on pink flowers. On the one hand, then, Google is putting the burden on advertisers to create rigorously relevant ads with custom landing pages in order to achieve a high quality score. On the other hand, Google is relaxing broad match so ads show up for keywords that aren't highly relevant. If I've crafted an ad group around a "purple flowers" theme and am driving those clicks to a custom landing page (like these purple flowers), I'd be pretty unhappy to pay for clicks for pink flowers. Expanded matching is contrary to quality score. Is Google putting its own financial gain ahead of its advertisers? Or, is this a case of Google getting too big and the team coding the expanded broad match algorithm isn't working closely with those working on quality score changes? Whatever the reason, the expanded matching algorithm undermines changes advertisers have implemented in reaction to the quality score(s) algorithm. There's no definitive Quality Score benefit to be gained from adding the same keyword multiple times with different match types to your account. Start by using the broad matching option for a new keyword. Monitor which keyword variations are triggering your ads with a Search Query Performance Report. With phrase match, you have a pretty good idea what you're buying. With broad (expanded) match, you have absolutely no idea what you're buying! You still derive the benefit of broad matches without risking too much of your budget paying for untargeted traffic. Track the actual keyword searches that the broad and phrase matches trigger and evolve the keyword list over time. Know what you're buying. Caveat emptor! BTW, if you've found this Google AdWords tip useful, consider subscribing to Apogee Weblog. I write a fair amount about Google AdWords strategies. Also, try these 11 Tips for AdWords. Not 10. That list goes to 11.